Discover how Penn Dental Medicine is building healthy smiles in the community! The school yard fills with the sounds of children playing and laughing. The bell rings and they wait in line patiently as they watch the PennSmiles bus park in front of their school yard. Many children get filled with anticipation for their visit with the dentist! 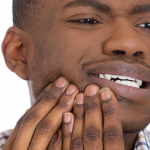 Others may become apprehensive, because they have never had the chance to visit a dentist. Does this bus take them to the dentist? No. It brings the dentist to them! PennSmiles is a mobile dental clinic program run by Penn Dental Medicine that allows kids to have access to quality dental care… right where they are! Penn Dental Medicine is here to change the status quo. According to the American Dental Association’s Health Policy Institute, only 48.5% of children visited the dentist in 2015. 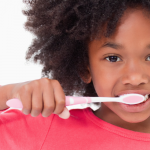 This means that over half of American children are at risk for tooth decay. Children go through many stages as they grow and mature and are in need of proper dental care to help them along the way. When visiting the dentist, children receive instruction on how to take care of their teeth at home. 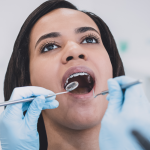 Using fluoride toothpaste, limiting sweets, as well as good oral hygiene, such as flossing, tooth brushing, along with regularly-scheduled cleanings are important practices to prevent cavities. Children also receive preventive dental sealants and fluoride treatments to reduce the risk for cavities when the visit the dentist. If a child can’t go to the dentist and cavities are left untreated, this can lead to infection. How Does PennSmiles Make a Difference? Each mobile dental clinic contains two dental chairs and dental equipment such as instruments and x-rays to provide children with cleanings, fluoride treatments, sealants and fillings. The PennSmiles mobile clinic meets all the same criteria as a traditional dental office, keeping our standards of safety and sterilization at the top of our list. Check out our video to give you a sneak peek into our PennSmiles mobile clinics! 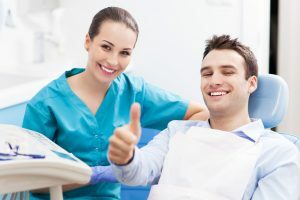 Our main goal is to give quality care to those who may not be in contact with a dental office, whether it be financial reasons or due to travel. Our dentists and students here at Penn Dental Medicine love being part of a team that makes a difference in a child’s life. If you are interested in the PennSmiles outreach program and how it can visit and benefit your community, give us a call at 215-898-4971. 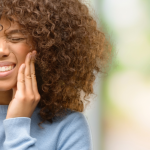 You can also schedule a dental appointment with Penn Dental Medicine to receive discounted dental services at 215-898-8965. If you would like to make a difference, you can donate to PennSmiles by clicking here. Become a part of a the solution with Penn Dental Medicine and start changing students lives, one tooth at a time.